Before Capcom got its hands on the Marvel license, it made several games based on Disney franchises, particularly based on movies and TV shows. 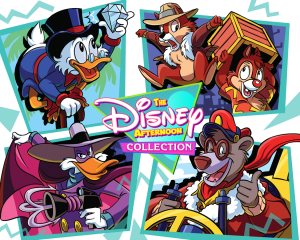 Chip and Dale’s Rescue Rangers, Duck Tales, and Tailspin all received video game adaptations. 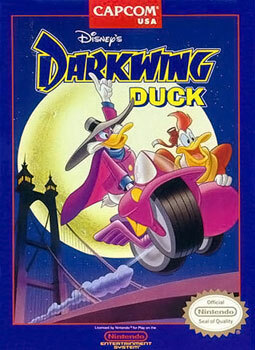 However, one of the best NES Disney games was undoubtedly Darkwing Duck. You all remember Darkwing Duck. 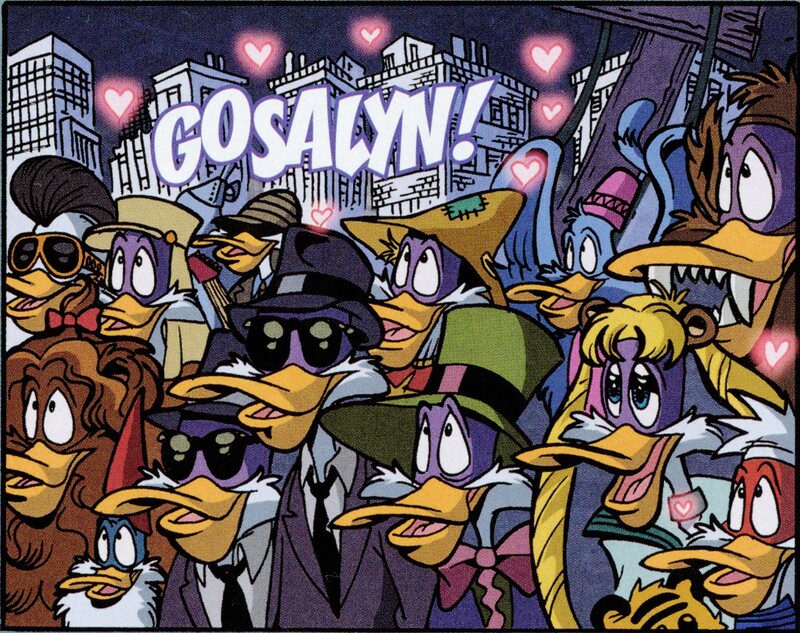 Basically it was a Ducktales spin-off that’s best described as Batman-meets-Spider-man-meets-The Shadow with ducks. It was fun to watch, and the game was just as fun to play. Built off a slightly tweaked version of the Mega Man 5 engine, Darkwing Duck took players through several levels as they attempted to stop a crime wave hitting St. Canard. Armed with your gun (which you can collect adapters to enhance), you take on several enemies from the show on your way to confront the villain Steelbeak. There is probably a very slim chance we’ll see this on Virtual Console, and it’s too bad. Thanks to its quality platforming gameplay, not only did kids enjoy the game, but older players enjoyed it as well. How frequently can you say that about video games based on Disney properties these days? Tomorrow, May 7, 2011, is the annual Free Comic Book Day (FCBD). 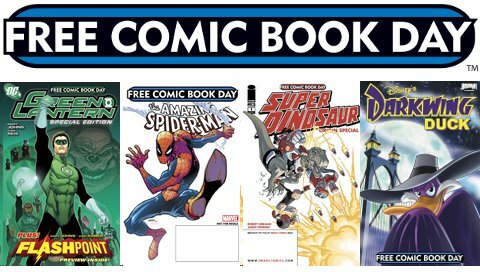 For those of you not familiar with Free Comic Book Day, on the first Saturday in May comic shops give out free comic book produced just for FCBD by the publishers. Just how many free comics you can get depends on your local shop, so be sure to ask. To find a participating comic shop near you click here. Full list of available comics after the jump. I am the danger that fights evil by moonlight! I am the middle schooler that wins love by daylight! I am … Sailor … Duck? 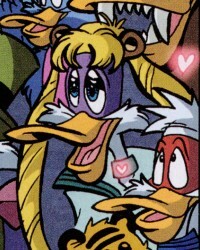 Here’s Drake Malard aka Darkwing Duck from issue #8 of Boom’s recent Darkwing Duck comic, dressed as Sailor Moon! 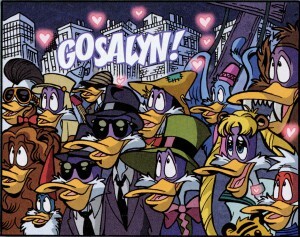 This is hardly the only cameo in this issue, as a seemingly endless number of alternate Darkwing Ducks all appear and it seems any mildly relevant comic or pop culture character from the past several decades makes an appearance. Tron, Sherlock Holmes, Where’s Waldo and more and more and more and … more. Thanks to poster Twighligh Ghost for bringing this to my attention in a post in the otherwise deserted alt.fan.sailor-moon newsgroup.